Back in April last year, I got a friendly email from Tom, a guy in Latvia. We shared some similar ideals and he just let me know that he is currently hitchhiking around South America. Besides being very envious, I find that it is a rather nice story that I wanted to share around a little bit, hoping that more people can take inspiration from stories like this. So we had a little virtual chat. Hi Tom, tell me briefly, for the benefit of readers, who are you and what are you doing right now? Hi Jamie. 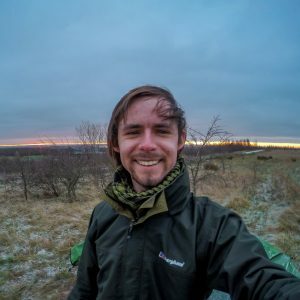 My full name is Toms Pavils, and I am a traveller, dreamer, vegetarian, non-smoker, nondrinker, apple-eater and an occasional misanthrope in his early twenties. Originally, I come from a small seaside town called Liepaja, which is in western Latvia. But currently I have embarked on my most ambitious adventure yet – a trip around South America! With no return ticket (but with hopes of hitching a boat back to Europe), this trip is going to be amazing! 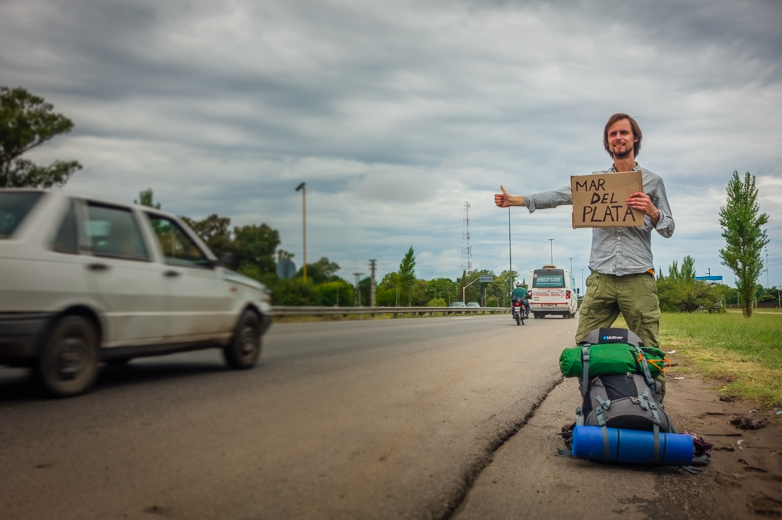 Hitchhiking is something I love, and I have my own reasons for doing it, but why have you chosen to hitchhike and have you ever tried it before? Are you afraid at all? Before hitchhiking in South America, I had some experience with it in north Norway a few years ago and also in southwest England last year when I spent six days travelling and visiting the major sights there, including Durdle Door in Dorset. But it is true that this is my most ambitious adventure yet. And hopefully, there will be many more. It would be foolish from me to say that I am not afraid. Of course, I am, yes. There are a lot of things that can possibly go wrong. But that applies to everything in life, not just to hitchhiking. Therefore, just because I am afraid, it doesn’t mean I shouldn’t be doing it. And hitchhiking, to be honest, up until now hasn’t been as frightening as some of my other experiences. Like when I almost drowned in my own tent, for example. Then it got really scary! Finance is one of the biggest issues people have when considering going on extended trips such as this and something that I get many questions about. Through a combination of working sporadically and spending very little, I have found a way to survive, but how is it that you are going to survive financially while on the road? I spent a year and a half in England working and saving up, so that I could afford to get away from the rat race for a while. But I still didn’t save a lot, so hitchhiking and sleeping mostly in my tent (or on benches, in abandoned buildings and, occasionally, in rivers) also helps financially. In addition, I am also doing Workaway – the program that allows me to stay with locals with food and board included in exchange for a few hours a day of work – when I rest a little, meet some friendly people and learn about the culture. By constantly being on the road and visiting only national parks and famous sights, I won’t be able to truly understand how people live here. The only problem is that the longer I stay somewhere, the more difficult it gets to leave. So I cannot stay anywhere for too long. I also know that my money might run out someday, which means I would have to find a job somewhere. But since I am hardworking and get along with most people, I will be fine. Slow travel is something that both you and I are great believers in – why is it that you believe in travelling in such a way? Personally, I find it very stressful – constantly thinking about how much time I have left somewhere before I have to leave for someplace else. It just takes all the joy away. That, I suppose, is the main reason why I travel slowly – to be able to enjoy travelling at all. South America, somewhere I have always wanted to go, but elevated onto such a big pedestal, that I have never been. ‘I’ll go later,’ I always say (and I nearly went twice, but neither trip worked out). Why is it that you chose to go to South America and where exactly do you want to visit? Or are you just going to ‘go with the flow’ and see what you find along your way? South America has been one of my most desirable destinations ever since I was in my 10th grade in high school and saw a picture of Machu Picchu in my English grammar book. I told my classmates right then and there that that is where I am going someday. After graduation, I even went to spend 11 months in Portugal doing voluntary service and learning the language because someone told me that the Portuguese can understand the Spanish better than vice versa, so by learning Portuguese I could kill two birds with one stone (not a good expression from a vegetarian, I know). Now I realise that I never actually believed that someday I would really come here. Not until I booked the flight ticket to Buenos Aires, the capital of Argentina, to first explore the southern part of this continent. So for now, Machu Picchu is still my destination. After that I might as well go with the flow. Until I figure out what next. No end date? Hitchhiking a boat back to Europe? I love it. Is there anything that you are most afraid of at the moment or was there anything that nearly stopped you starting out on this journey? There are some minuscule things that I am afraid of, but nothing major. I have understood that most things that we find scary, in fact, are not, but those that are really frightening happen unexpectedly, and then we simply have to find a way to deal with them. Excessive worrying just leads nowhere. About hitchhiking a boat back to Europe. I still have to find out where and when it is best to do it, but I know that it is not going to be a luxury ride and I will have to participate in duties and life on board. I also know that, while it is often called hitchhiking, I will have to pay my way because a lot of the yacht owners struggle to meet their ends. I am hoping to get on a yacht in Brazil (there’s one Workaway host there that has a sailing yacht) so that I can learn the major things about being at sea and present them later on for my trip to Europe. There wasn’t anything that nearly stopped me starting out on this journey. And that got me thinking – when something stops us from carrying out our plans, isn’t it just something meant to test our determination? And if nothing happens, does it mean our goal is not worthy enough or is it a green light for us to proceed? You’ve already started on your journey, how is it going thus far? 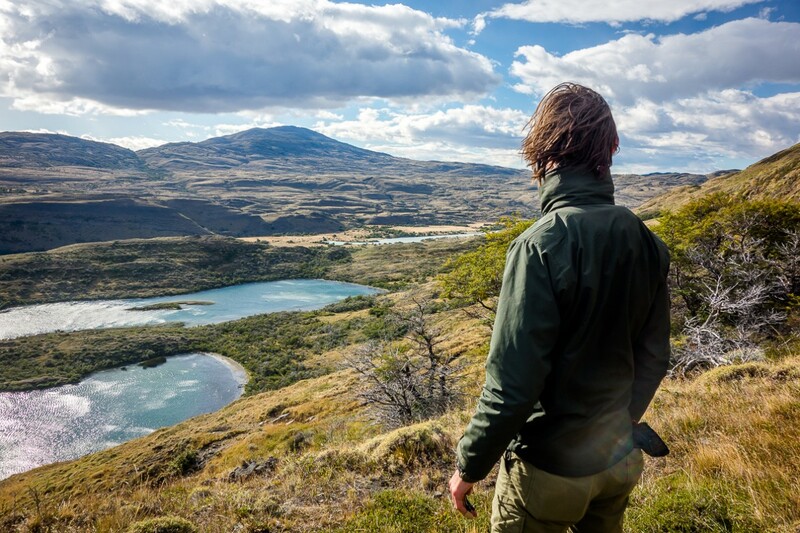 Are you enjoying solo travelling or do you ever find it lonely? I often experience a roller-coaster of highs and lows, but the highs outweigh the lows so much that I can’t stop. Thus far, it has been really great! I have hitchhiked around Patagonia and Tierra del Fuego, visited several interesting national parks and natural sights, had two very enjoyable Workaway experiences, met some really kind and good-natured people, and even seen the eruption of Volcano Calbuco in Chile! There have been some lows, of course, but in my case, the highs outweigh them too. And I really enjoy travelling alone because then I don’t have to make any compromises and can spend as much time at any one place as I want. It doesn’t get lonely either, because I am constantly surrounded by people – drivers, locals, other travellers, and when I am Workawaying there are always people around me too. Finally, if other people are thinking of doing something like this, but they are unsure, do you have any advice to offer them? I would also advise everyone what you have already emphasized so many times in your blog posts – make sure you get proper travel insurance that covers all sorts of situations, including repatriation! You never know when you may need it! Thank you so much Tom for your answers. See you on the road one day. Until then, enjoy every minute of every adventure and I wish you the best. Toms Pavils was born in 1992 in western Latvia, and spent the first 14 years of his life blissfully oblivious to the beauty of the world outside his small country. He first came into contact with it in 2007 when he went on a trip with his choir to Norway and saw the mighty mountains for the very first time. And so the passion for travel and seeing the yet unseen was born. Since then, he has been on several youth projects in Turkey, Russia and Germany, spent 11 months volunteering on a pedagogical farm in Portugal, worked for two months in Norway and Czech Republic, and lived for nearly two years in Nottingham, England. Currently he is in South America, fulfilling his dream of long-term backpacking and hitchhiking. You can find out more about him on his blog, Tom The Super Tramp or you can follow him on his Facebook Page.